I just posted a new edition of Word Magazine. 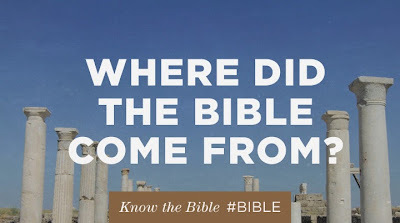 In this edition, I offer a review of a recent blog post by Mark Driscoll on Where did the Bible come from? and find that Driscoll repeats many of the notions typical for evangelicals (including the YRR crowd) who embrace the modern critical text and translations (the ESV, in particular). I make reference to my 2008 review: Mark Driscoll and the Emerging Church. And to a previous blogpost on the ESV and dynamic equivalence. At the end, I also make an unrelated reference to this post on the Common Core curriculum. I would like your thoughts on a personal matter, and I thought that maybe it might be helpful to others to share it here. I live in an area where most of the Baptist Churches come from the "Sandy Creek" tradition rather than the "Charlestonian" tradition. Therefore, Reformed Churches are almost a non-existent entity. However, I am part of the only Baptist Church within a 100 mile radius that is friendly to Reformed theology. It is in the next town over, which is about 35 miles away. I know a lot of people there because I once worked in that town. We have enough people that come to the church from my town that we have a small group that meets on Sunday nights in homes to discuss study questions based on the morning sermon. I really enjoy the church and the fellowship. However, they use the ESV. I am ok with it, but stick out like a sore thumb when I read my NKJV or KJVer. I went to Seminary, and my group leader did also. We also have a few pastors that are in the group that were chewed up and spit out by some of the local Sandy Creek Churches because of their Reformed leanings. There is even one person in our group that used to go to Mars Hill! We have a diverse group united around Biblical Theology. I think it is a good thing. They all know my position on the Bible text and don't mind it, but I think it is a little bit annoying to them. I struggle with this, and wanted to know your thoughts and advice on how to fellowship with those who are friends to Reformed Theology, but hold to the Modern Critical Text. You and I are rare these days on that issue. Thanks for your comment. Given the situation you described (which is becoming increasingly more common--that is the scarcity of faithful churches), I think you are right that this issue is not one that warrants breaking fellowship, but I also don't think it's something you should be required to compromise upon given your convictions. They should at least treat you as a "weaker brother." I would wonder if the leadership of the church has ever studied the issue and issued an official church guideline on the text and translations that might be used in public worship or is it left up to individual decision? I would think in the small group you would have many opportunities "gently" to ask questions. Some I might pose would be: Do you think that John 7:53--8:11 is inspired Scripture? If not, what is it? Should it be preached and taught? If it is not Scripture, shouldn't it be removed from our Bibles? Why have those who dispute its authenticity not pressed for translations that remove this passage or put it in footnotes? If it is inspired Scripture, what is communicated by placing it in brackets? Does this undermine the authority and reliability of Scripture? Etc. Well, our Elders are convinced of the idea that the original manuscripts are inspired, but that the modern text is the best and most accurate text available. In the membership class that is required before joining, there are what the leadership calls "open handed issues" and "closed handed issues" taught concerning our Theology. Issues like the Atonement, Salvation by grace through faith alone, the Trinity, and the Virgin Birth are among the closed handed issues. Issues like Eschatology, Creation theory, Bible translations, and music preference are among the open handed issues. The closed handed issues are not negotiable, but the open handed issues are open for difference. One example is that I am an Amillennialist when it comes to Eschatology, but the small group leader is a premillennialist. One of the Elders is a classical futurist. I am the Co~leader of the small group, so I lead discussion from time to time. I will ask those questions when the issue arises again and will try to be patient. Thanks for your perspective.